Welcome to Chingford Technical Coatings Ltd, Berkshire based Electroplaters. RoHS & WEEE Directive: The RoHS Directive bans the sale of new electrical and electronic equipment containing significant levels of lead, cadmium, mercury, hexavalent chromium, polybrominated biphenyl (PBB) and polybrominated diphenyl ether (PBDE) from 1 July 2006. The Waste Electrical and Electronic Equipment Directive (WEEE) requires manufacturers to finance the recycling of their electrical products. In support of these Directives Chingford Technical Coatings offer Iridite NCP as an alternative for either Alocrom 1000 or 1200. Transport: We offer a transport service were required locally. Overview: Chingford Technical Coatings Ltd offer precision surface finishing services for metal products, specialising in zinc electro-deposition and chemical blacking of steel & stainless steel. Background: Chingfords was established in 1978 to cater for the electro-plating needs of local electronics firms who required coatings such as copper, silver and tin. In 2003 Steve Searle who had been working with the company for 18 years became the new Managing Director. Since inception the company has broadened its capacity to cater for the zinc plating and chemical blackening requirements of the general engineering sector. Location: Based in Maidenhead, berkshire close to the M4 and M40, Chingfords serve Reading, West London and the local regions. Market: We serve metal fabricators and engineers in the food, manufacturing, machinery, automotive, electronic and aerospace sectors as well as most other markets. Quality: We pay particular attention to detail and all our rack plating is carried out manually. 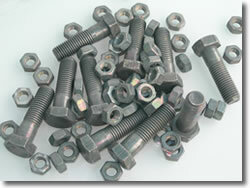 We carry out zinc plating of general components to BS1706, and threaded components to BS3382. Our chemical blacking service is carried out to MIL-DTL-13924D. Quotations: If you have a job you would like a quotation for please feel free to call. 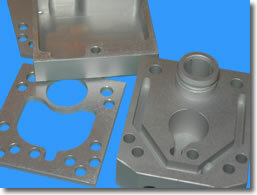 We are happy to talk about your requirements over the phone and are also available for consultation regarding all aspects of metal finishing.